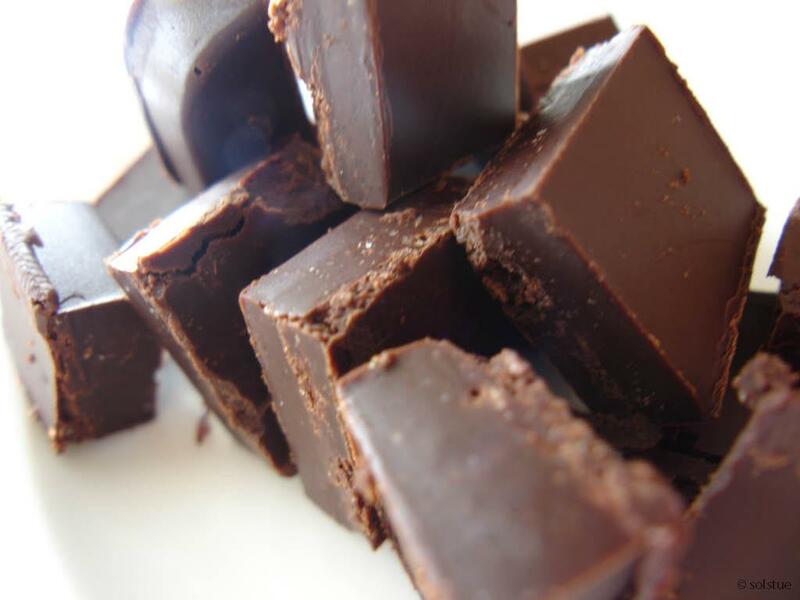 The recipe for one of my favourite chocolates. It’s ridiculously easy to make. Have all the ingredients in a pan and melt over very low heat. The best thing to do is to use a water bath. The chocolate can be destroyed in too high temperatures. When melted this is a wonderful sauce for ice cream. 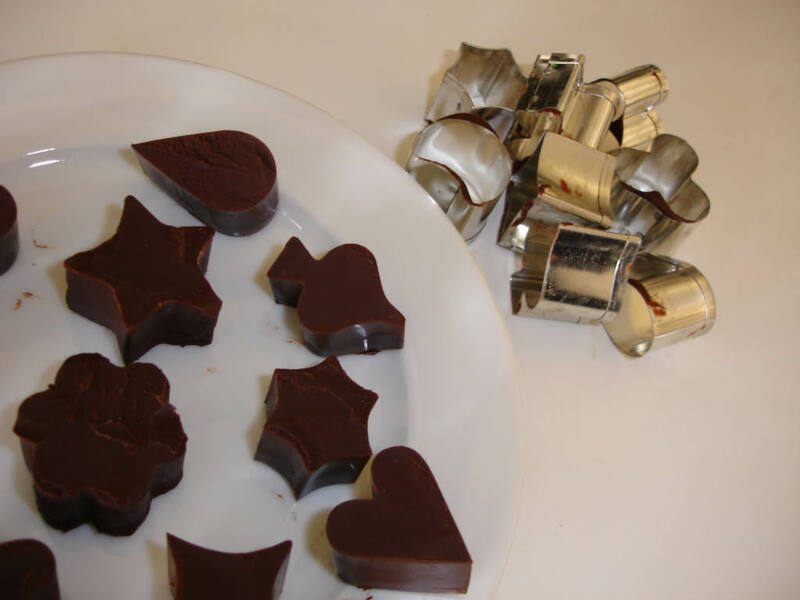 Pour the chocolate into moulds or in a slightly soft plastic box. Put in the refrigerator. When cold you can cut it in small shapes or remove from the moulds. 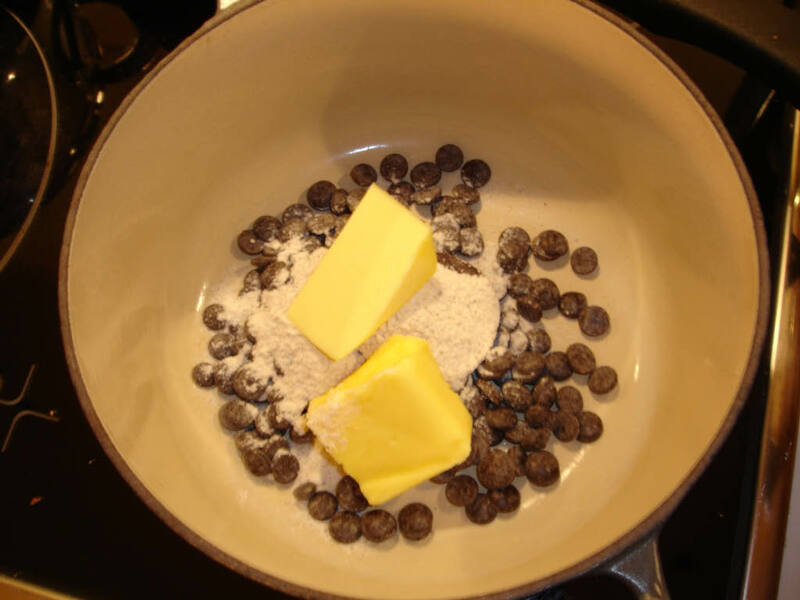 thanks for a funny tip on chocolate sauce, I assume you should preferably use unsalted butter whenever possible? Well, the sauce is a bit special. On icecream it turns into a hard chocolate cover. Actually very good. Preferably usalted butter, but works fine with salted butter as well.